A patented “goof-proof” tool applies a range of materials at a precise, specified and uniform depth. For use in applying decorative concrete “toppings,” self leveling/high performance floor coating materials, and underlayments in the floor-covering markets. CAM depth settings range from 1/32” to 1-1/2”. 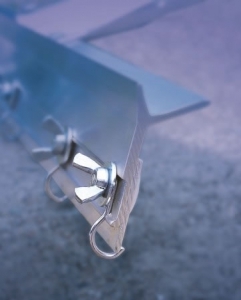 A must have tool for the decorative concrete and floor coating contractor. 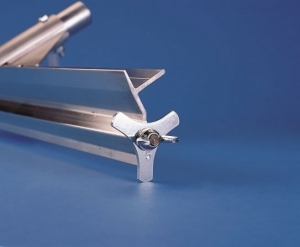 We use a “radial” edge CAM® design which maintains uniform coating thickness, even at varying handle angles and lengths. Head widths range from 10” (hand held) to 48”. The 24” and 36” widths are the most popular. CAM sets come in depth settings ranging from 1/32” to 1-1/2” with the 1/8”, 1/4”, and 3/8” CAM sets being the most popular. Each CAM has multiple contact points of the same depth, when worn down, loosen the wing nut and rotate the CAM for a fresh contact point of the same depth setting. The CAM Gauge Rake is available with a milled threaded handle adapter. The 10” CAM Rake is used for small areas and counter tops and has its own fixed handle with grip. 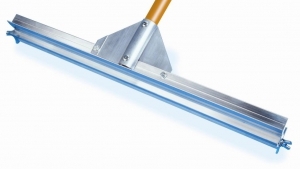 The Wire Gauge Rake is used to apply self-leveling floor coatings and lower viscosity materials. It is far superior to pin-type gauge rakes on the market. The strong spring-steel wires are formed in a “radial” or loop fashion. This eliminates chatter and vibration common with pin-type gauge rakes. The multiple contact points make this tool an excellent choice when working on pitted or uneven surfaces, as some of the points will maintain the desired level or depth of application even at varying handle angles and lengths. 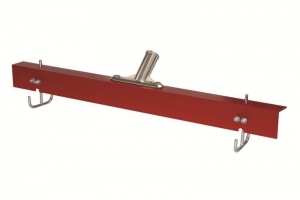 The adjustable aluminum gate or bar can be set to any desired thickness from 0” to 5/8”. Replacement wires are available. Ordering replacement wire sets is encouraged.